As a parent or employer, you probably feel need of a monitoring app and service so you can monitor all the activities of your kids and employees all the time. People all over the globe use these kinds of services to protect their kids from cyber threats and their businesses from being invaded by their competitors. As a parent, you have no idea what your kids’ do online, what kind of people are their Facebook friends, with what kind of people your kids are talking to and as a parent, it is your responsibility to know these things. Following is a comparison between two of the most popular and widely used monitoring apps and services available right now. You must have physical access to the target device in order to install these apps and after the installation and initialization process, you can do everything remotely via the web portal and secure login company provides at the time of purchase. When it comes to compatibility and availability, mSpy is a clear winner as it is available for desktop operating systems as well as for mobile platforms. TheTruthSpy is available for iOS (jailbroken only) and Android devices while mSpy is available for iOS devices (jailbroken and non-jailbroken both), Android devices, Windows based computers and Mac OS. mSpy has more than 1 million customers worldwide, probably because it is also compatible with non-jailbroken iOS devices. TheTruthSpy and mSpy both have almost similar features packed in a slightly different user interface and structure. Both of these services come with all the basic monitoring features you need. 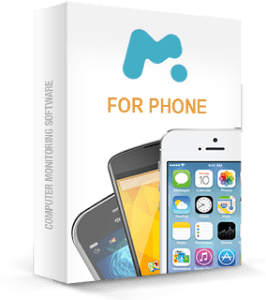 They have call monitoring, message monitoring, contacts monitoring, internet usage and history monitoring, social network monitoring that includes Facebook, Viber and WhatsApp, remote device wipe and lock. mSpy also has email monitoring that TheTruthSpy doesn’t have. These apps have advanced location tracking feature that uses the target device’s GPS in order to track and pin point the exact location of the device. Administrators can see this information from the web portal company provides. Although this location tracking feature is available in almost every other monitoring service yet in TheTruthSpy and mSpy is has another embedded function that records the location history. As an administrator you can get your hands on all the photos, videos and all other kind of media files stored on the target device. You can even delete those files remotely via web portal. TheTruthSpy has 3 different packages and plans which are standard, premium and gold; these packages have different set of features and available for different time periods. You can get standard package for $17, $46, $71 and $114 for 1, 3, 6 and 12 months time period respectively. Premium package is available for $20, $54, $84 and $132 for the same time periods mentioned earlier. The gold package is available for $23, $62, $106 and $150 for 1, 3, 6 and 12 months time period. On the other hand, mSpy has four different plans that makes it easier for users to choose the most suitable option for them, these plans are basic, premium, family and bundle and you can get them for 1, 3, 6 and 12 months. Both of these apps and services are amazing yet with more than 1 million loyal customers all over the globe, tons of advanced features and more importantly state-of-the-art 24/7 customer support, mSpy is the best monitoring app that you must have in order to keep an eye on your kids and employees without invading their privacy.